Yes! New sphinxes are hard to come by. There aren't as many of them compared to the geometrids, noctuids, and other smaller moths. 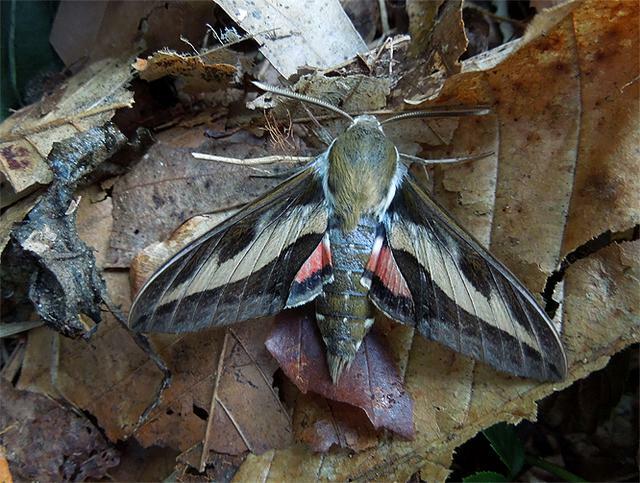 ​I wonder if this was the same hawk moth that zipped by me at dusk (when these are active). H. gallii are found all over the world. This one was very fresh, so it's possible it grew up here. Glad they found my yard!